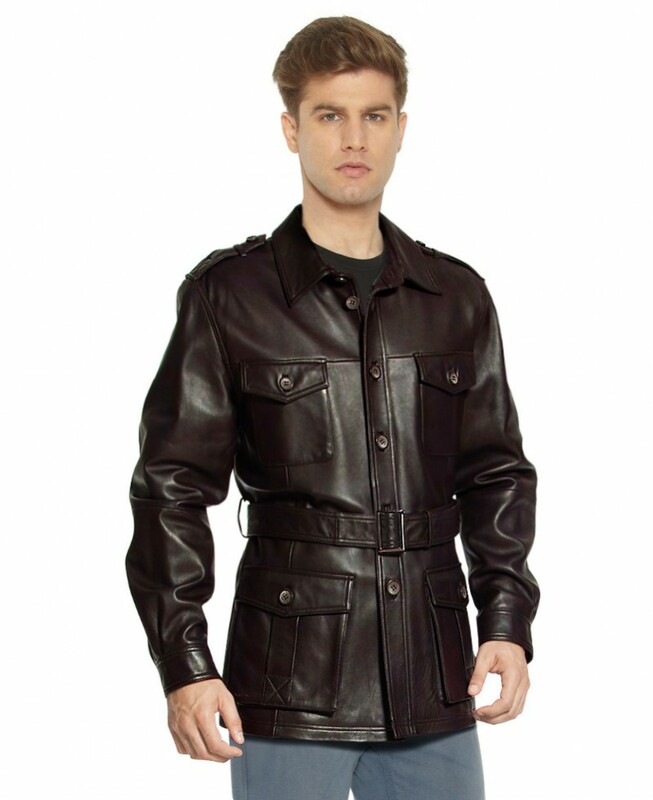 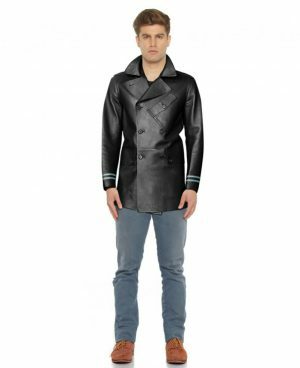 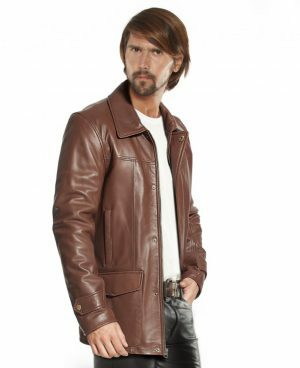 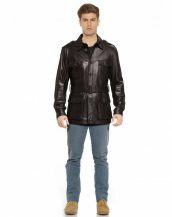 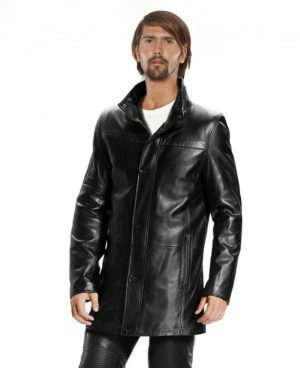 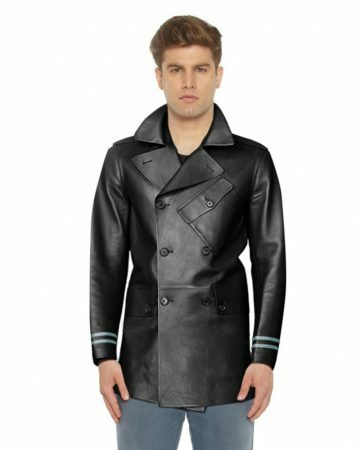 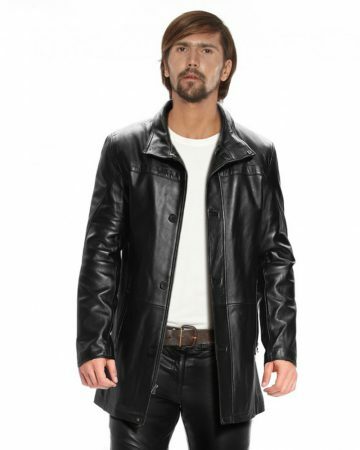 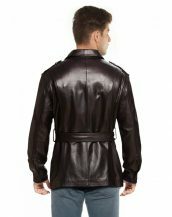 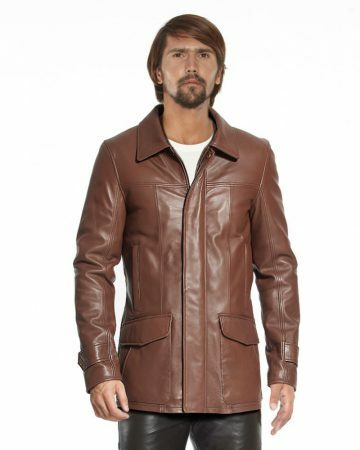 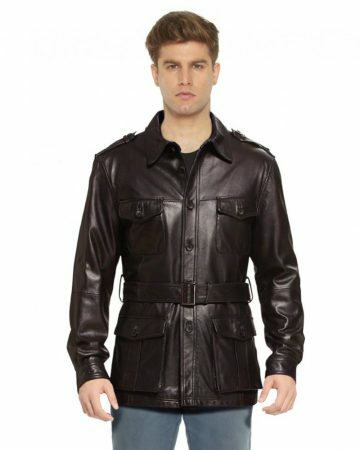 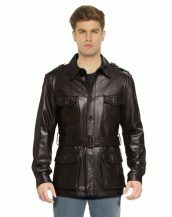 Get the rugged army man look with this military style leather trench coat. Accented with a buckled waist belt, it has both style and function with features like buttoned shoulder epaulettes, point collar and front button placket with cuffs with buttons. 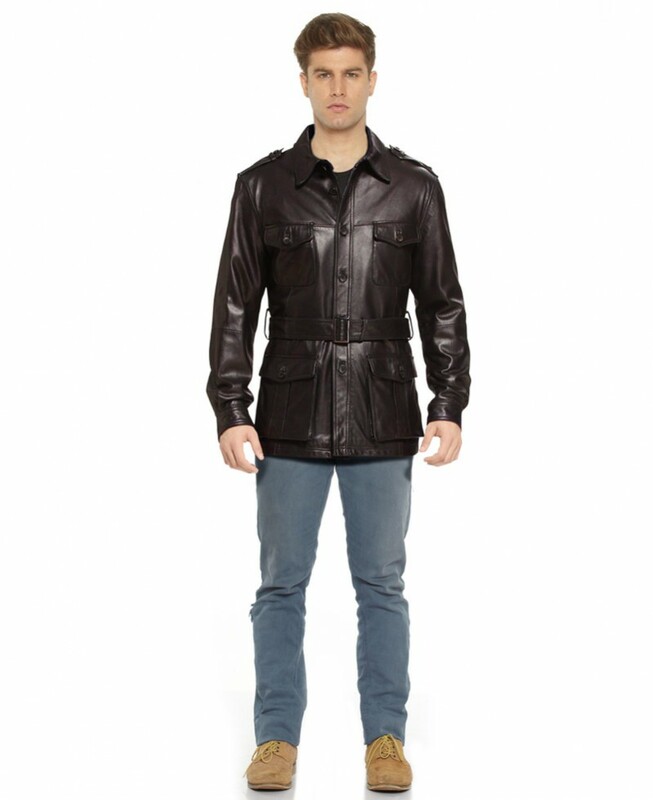 Layer it over tailored separates and polished shoes for the ultimate suave. 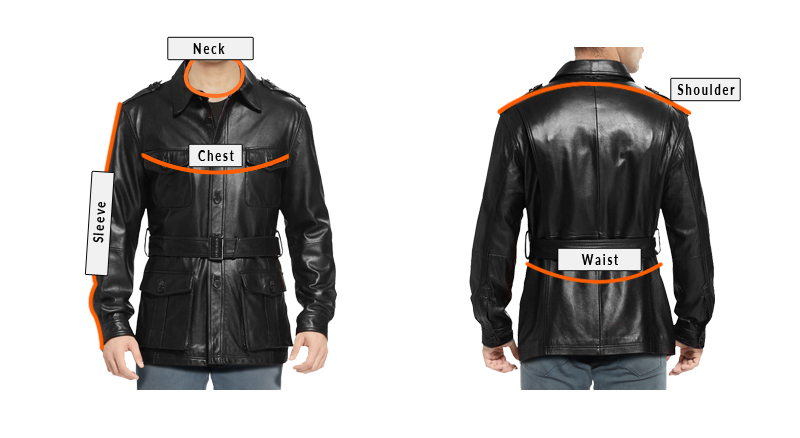 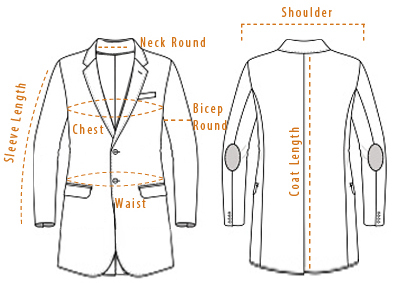 Two flap patch pockets with button closure on waist & two on chest.